David Rudman, CPA/ABV, CVA, is the President and founder of Sigma Valuation Consulting, Inc. His experience includes providing forensic accounting and business valuation consulting services for the purposes of marital dissolution, corporate advisory and tax compliance, shareholder disputes, mergers and acquisitions, ESOPs, healthcare fair market value assessments, estate and gift tax planning, administration and litigation, and other business matters. In addition to his CPA certification, Mr. Rudman is Accredited in Business Valuation and is a Certified Valuation Analyst. He has provided expert testimony in both deposition and trial, and has been appointed as a neutral valuation expert by the New York Supreme Court in New York, Nassau and Suffolk Counties. Mr. Rudman provides business valuation services across all industries, and has significant experience valuing companies in industries including healthcare, financial services, fashion, manufacturing, distribution, construction, professional practices, and the valuation of hedge fund and private equity fund structures. Mr. Rudman has been in practice for over 20 years. He is a member of the American Institute of CPAs, the New York State Society of CPAs (NYSSCPA), National Association of Certified Valuation Analysts, and Estate Planning Council of New York City. 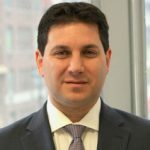 He is a member of the NYSSCPA’s Business Valuation and Estate Planning Committees and is the former Chairman of its Business Valuation Education Subcommittee. Mr. Rudman has also served on the Board of Directors of the Estate Planning Council of New York City. As a frequent author and speaker, Mr. Rudman has written articles for professional journals and has instructed on continuing education topics for the AICPA, NYSSCPA, National Business Institute, and other professional organizations. Examples include: Complex Issues in Divorce for the New York Practitioner, Understanding the Basics of Business Valuation, Special Considerations When Valuing Medical Practices, Methods for Finding Hidden Income, and Valuation of Professional Practices and Buy-Sell Considerations. Mr. Rudman is an honors graduate of the University of Iowa and holds a Bachelor of Business Administration Degree in Accounting. He is a Certified Public Accountant in Illinois and Licensed in New York.